09 Apr 2019 --- Suppliers Nexira, TIC Gums, Alland & Robert and Importers Service Corporation (ISC) are moving forward with a plan to submit a citizen’s petition to the US Food & Drug Administration (FDA) to classify gum acacia as a dietary fiber. The group is hoping for approval with the agency this spring. “On behalf of Nexira and representatives of the gum acacia industry, Keller and Heckman LLP, is now preparing a citizen’s petition that we intend to submit to the FDA in April 2019,” Olivier Bove, Nexira’s Regulatory Affairs Manager tells NutritionInsight. The aim is to request that gum acacia be recognized as a dietary fiber for nutrition labeling and claims on foods and beverages marketed in the US. The suppliers commissioned two clinical studies designed to provide additional evidence of the physiological benefit of acacia as a dietary fiber. 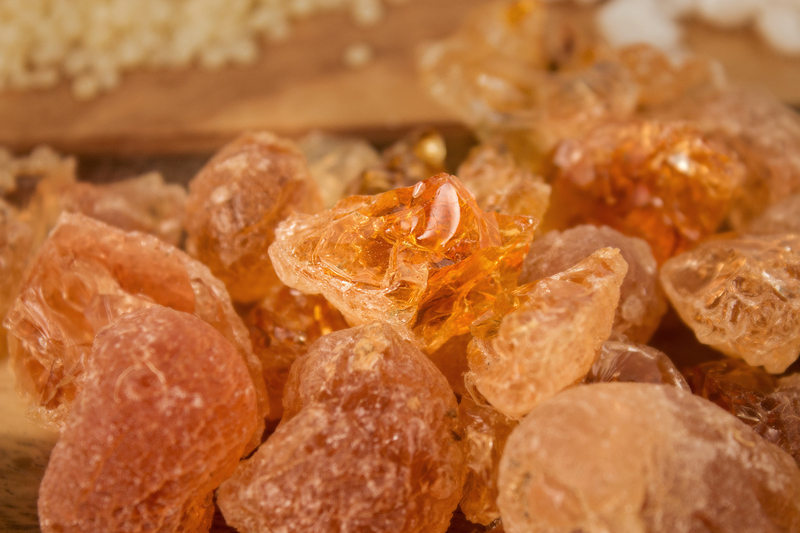 “The objective of the two new studies was to strengthen the body of evidence supporting the beneficial physiological effects of gum acacia on blood glucose attenuation and energy intake,” Bove says. “With a guaranteed content of minimum 90 percent soluble fiber, acacia gum is widely used in a large array of applications,” declares Bove. “Acacia has many advantages for consumers to add more fiber in their diet in a broader range of applications than other sources of fiber,” Lorien Reynolds, Regulatory Affairs Manager at TIC Gums, tells NutritionInsight. “Because acacia minimally contributes to viscosity, developers are able to add acacia as a soluble fiber to their formulation without affecting their end product,” she adds. Since commissioning the studies, all four companies have been directly involved in the development, execution, data analysis and scientific review of these two new clinical studies. “Nexira, in charge of the supervision of the clinical trial driven by a famous American University, is pleased to announce that the study is now complete and results are about to be made publically available shortly,” declares Bove. “In summary, these additional studies are showing significant results supporting that gum acacia fiber has physiological benefits in healthy human subjects. The results of gum acacia consumption showed more precisely improvements in satiety, reduction in peak glucose response, improvement on serum insulin,” adds Bove. Click to EnlargeTwo years ago, several acacia gum manufacturers were involved in efforts to support the dietary fiber status for acacia gum.Beginning in 2016, several acacia gum manufacturers (Nexira, Ingredion/TIC Gums, ISC and Alland & Robert) were involved in efforts to support the dietary fiber status for acacia gum. The companies involved collaborated and met with FDA several times and decided together to conduct additional clinical studies. “These results are consistent with existing research on gum acacia and add to the body of evidence that gum acacia provides physiological benefits as a functional fiber in human nutrition,” says Bove. “While the timeframe for the FDA’s response cannot be guaranteed, we are hopeful to receive a positive response to our Citizen Petition in the Summer of 2019; however, we are unable to make assumptions on behalf of the FDA,” he adds. TIC Gums is also cautious on predicting the outcome. “Although TIC Gums is taking every step possible to provide this evidence, we cannot make assumptions on behalf of the FDA, so we are unable to guarantee acacia will gain approval as a dietary fiber. While we can’t provide a timeline for a response from the FDA, we will provide further updates as they become available,” a statement read. Last summer, the FDA published an initial list of eight approved fibers, as the government group issued guidance on which identified specific fibers can be classified as “dietary fibers” on the upcoming Nutrition Facts Label, which is set to come into effect in January 2020. The eight new fibers are: mixed plant cell wall fibers (a broad category that includes fibers like sugar cane fiber and apple fiber, among many others); arabinoxylan; alginate; inulin and inulin-type fructans; high amylose starch (resistant starch 2); galactooligosaccharide; polydextrose; and resistant maltodextrin/dextrin. TIC Gums was “encouraged” by more recent news, however, as a ninth ingredient was added to the list. Last week, Resistant Starch 4 (RS4) became the latest ingredient to be added to the list of approved fibers. As the initial list was released last year, MGP Ingredients submitted a citizen’s request for RS4 to be included in the definition.This request has now been fulfilled as the agency has confirmed that RS4 sources will be added to the definition of dietary fiber. The move means that the company’s flagship brands Fibersym and FiberRite can be officially counted as fibers when calculating a product’s fiber levels as displayed on the labeling. “The dietary fiber status gain by RS4 demonstrates the FDA’s committed to reviewing the overall body of evidence and making sound decisions based on the evidence in a timely manner,” Reynolds states. “We are encouraged as we move forward,” she concludes. If nothing changes, however, customers utilizing gum acacia that count the dietary fiber from gum acacia in the Dietary Fiber calculation on the Nutrition Facts label will need to review the nutritionals and labels. • Gum acacia will not count as a dietary fiber and cannot be included in the Dietary Fiber total on the Nutrition Facts label. • Gum acacia will still be included in Total Carbohydrate Value. Gum acacia is a soluble and non-digestible carbohydrate. • Gum acacia cannot be used in calculations for any claims regarding dietary fiber. • This includes nutrient content claims and health claims. 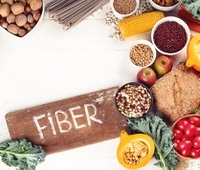 The dietary fiber rules comes into effect on January 1, 2020, for businesses with US$10 million or more in annual food sales and January 1, 2021, for businesses with less than US$10 million in annual food sales, so time is running out for suppliers looking to still meet the criteria. Innova Market Insights has tipped fiber as one of the growing areas for food and beverage innovation this year. According to a consumer survey (2018) conducted by Innova Market Insights, 44 percent of US consumers are increasing their consumption of fiber, with 33 percent of UK consumers doing so. At the same time, 21 percent average annual growth has been reported in new product launches carrying a fiber claim. Newly discovered health benefits are driving fiber applications, the market researcher reports.